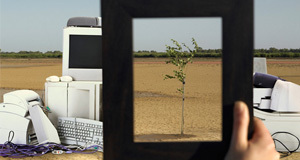 Buyequip will come to you and professionally and efficiently arrange e-waste collection of your IT items. We will arrange a collection at a time suitable to you, and can collect equipment from multiple sites, as well as remote sites – all without hassle. We are able to remove equipment from desks, clean up cables and accessories, and consolidate equipment prior to building removal. We are able to perform this disposal service in two stages should your equipment need to be quarantined. We have 240 and 660 litre bins that can be deployed prior to a disposal so that you can better collect all your equipment. 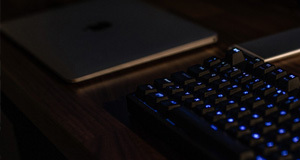 Our skilled team of professionals understand the challenges associated with sensitive IT hardware and data security when you are moving office locations or between datacentres. We are more then just removalists, and will take the utmost care with your equipment whether you are undertaking a local or national relocation. 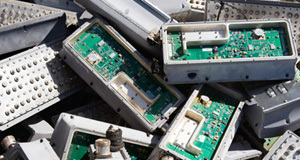 We are flexible to your requirements, and will work closely with you to deliver the e-waste collection outcome your require. Prior to redeployment, we can clean and sanitise your equipment using a toolkit of specialist tools, cloths and chemicals so that fingerprints, food residue, dust, ink and other grime are removed. Our chemicals are non-hazardous, low-odour, non-staining and environmentally friendly. We can assist with end of lease clean up and make good by removing cables and unwanted accessories. We are able to remove large heavy items professionally. We can provide test and tag services to ensure your redeployed IT assets are safe and compliant with Australian electrical standards. Servers and networking equipment can be removed from racks, packed securely to prevent damage or shock, and delivered ready for re-racking. Buyequip are able to handle all aspects of the deployment process including project management, hardware replacement, data migration, and user acceptance testing. Our experienced team will complete all deployments professionally, with minimal disruption to the client. We are able to scale up as required to meet your demands, and can perform many pre-deployment tasks in advance – such as asset tagging, image loading, software updates and application loading. Once onsite, we are efficient when installing equipment in both the datacenter and end user desks. We will remove all packaging from site, neatly manage cables, ensure deployed equipment is correctly connected to power and network and migrate any required locally held data. By working closely with your technical team, we will significantly reduce labour costs and project execution times. Buyequip has latent storage capacity and can receipt, store and manage bulk shipments of desktop, enterprise and general IT assets until they are needed. We can then dispatch the assets to where they are required.